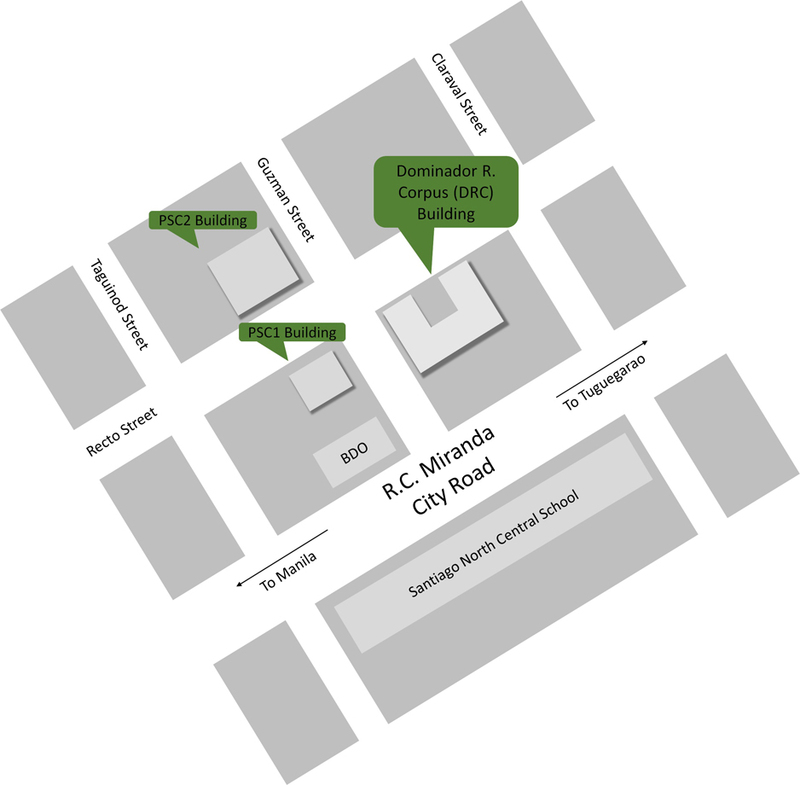 Our offices are open from 8:00 am to 5:00 pm, Mondays to Fridays. Patria Sable Corpus College (PSCC) is located in Barangay Calao West. Once you get to R.C. Miranda City Road, make a turn on Guzman street. There is a BDO bank on the corner street.